HARARE, Dec. 1 (Xinhua) — Zimbabwean President Emmerson Mnangagwa on Friday commissioned the construction of Zimbabwe’s new parliament building in Mt. Hampden, 25 km west of the capital Harare, by Chinese firm Shanghai Construction Group. The Chinese government will provide about 100 million U.S. dollars grant for the construction of the new parliament structure, the largest building to be funded by Chinese government in a southern African country. The Zimbabwean government will chip in with about 10 million dollars for offsite infrastructure such as residential areas, shopping centers, access roads and electricity and water provision as it moves to establish a self-contained new city in the area to decongest the capital Harare. The 650-seat building will replace the 100-seat building built during the colonial era which has become smaller for parliament business and can no longer accommodate the 350 parliamentarians and staff members. The new structure will have extra facilities for conferencing, 12 committee rooms and adequate space for office staff and parking. President Mnangagwa said the long-awaited new building will enable parliamentarians to fully execute their legislative roles and further entrench democratic tenets in the country. It will also resolve the congestion challenge in the current bicameral parliament building, he said. Zimbabwean president Emmerson Mnangagwa (Right First) attends the groundbreaking ceremony of Zimbabwe’s new parliament building in Mt. Hampden, Mashonaland West Province, Zimbabwe, November 30, 2018. “We express our profound gratitude to the Chinese government for their continued support of our various developmental programs. We commend the Belt and Road Initiative under which infrastructure development projects such as this one, are being undertaken in emerging economies,” he said. He said the new spacious parliament building will, upon completion, undoubtedly improve the comfort of its users and change the ambience around which parliamentary business is conducted. The president said the relocation of Parliament to Mt. Hampden will be a catalyst for subsequent developments throughout the area as government will also put structures for two other arms of the state – the executive and the judiciary. 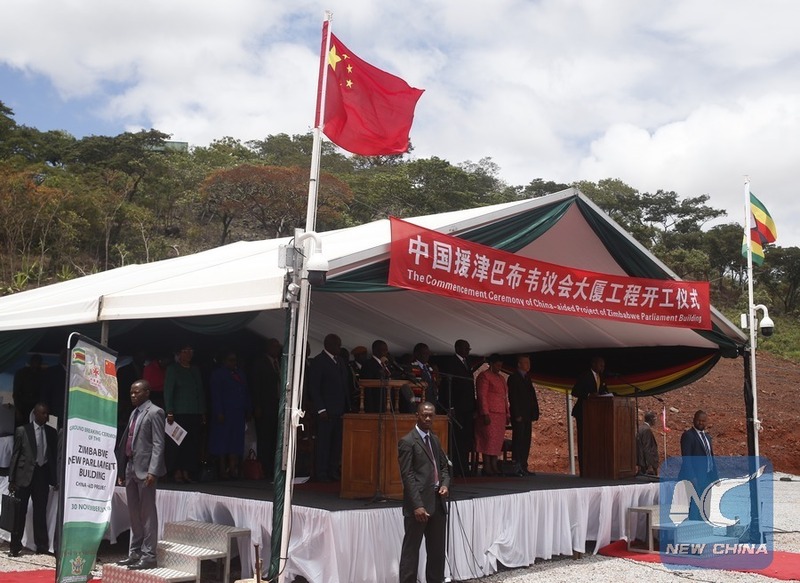 Senior officials attend the groundbreaking ceremony of Zimbabwe’s new parliament building in Mt. Hampden, Mashonaland West Province, Zimbabwe, November 30, 2018. 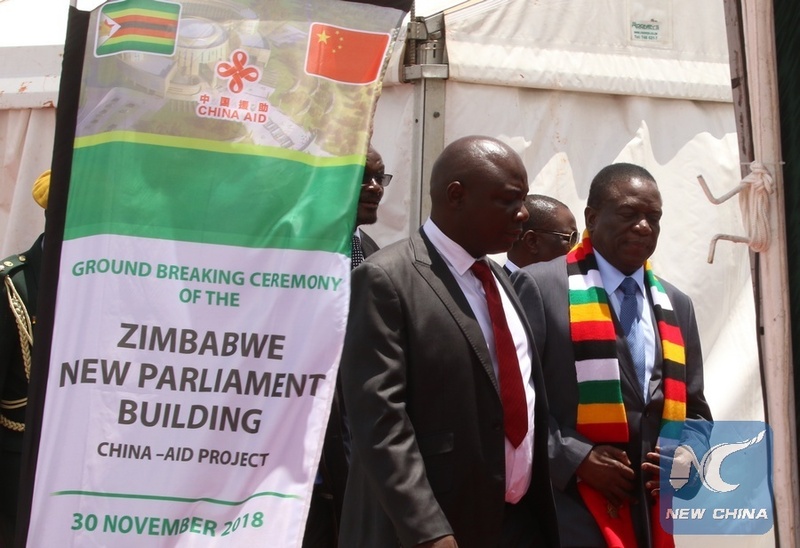 Chinese charge d’affaires in Zimbabwe Zhao Baogang said the new parliament building, with a floor space of 33,000 square meters, six floors and two congress halls and other facilities, will greatly enhance the working conditions of the Zimbabwe parliament. He said the parliament project will take 32 months to complete. “The honorable MPs will work harder for the new legislations and make greater contribution to the institutional building of this country,” he said. He added that the new parliament building represents the arduous efforts of the new Zimbabwe government to propel economic development and turn Zimbabwe into a middle income status by 2030. “This is not just a landmark building in this area, it marks the start of construction of a new city of Harare. Within a few years, a new Harare will take shape. It will attract more visitors into this country. 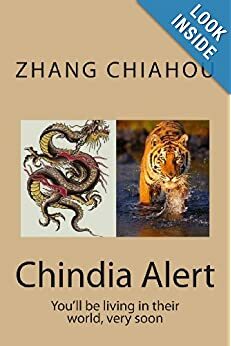 “With strong leadership and hard work, Zimbabwe will regain its past glory, becoming a middle income country, one of the major economies in Africa, an envy by many African countries,” Zhao said. As Zimbabwe has become one of the 140 countries that have signed BRI cooperation agreements with China, Zhao hoped that Zimbabwe will get more benefits under the cooperative framework. 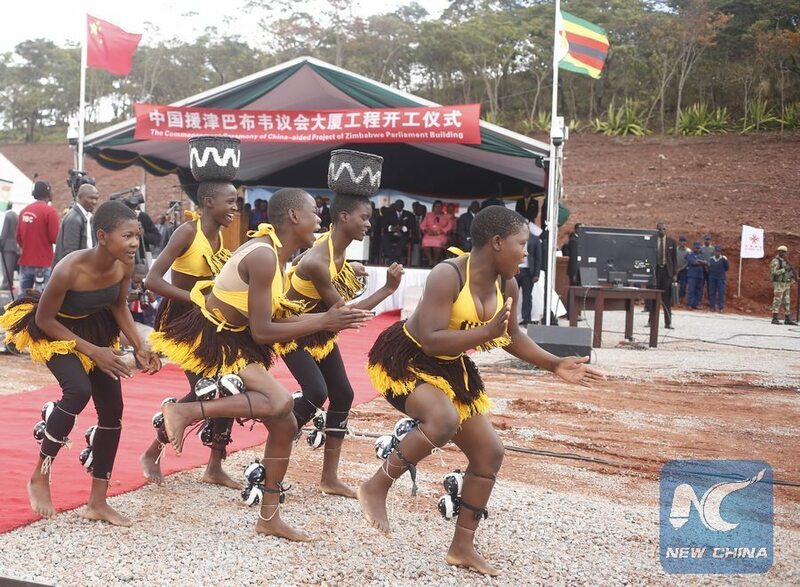 Zimbabwe, he said, had done everything to ensure that Zimbabwe-China relations set an example for bilateral relations between China and other African countries. “I believe Zimbabwe will continue to enjoy the special treatment from China,” he said. Zimbabwe’s two vice presidents Constantino Chiwenga and Kembo Mohadi attended the ground breaking ceremony, among other dignitaries. While India may be known for its oppressive pollution, poverty and bureaucracy, it’s a better place to be sent to work than China or even the United States according to a recent survey. An HSBC report that tried to break down what it’s like to be an expatriate in different countries this week surprisingly ranked India ahead of the world’s two biggest economies. In its HSBC Expat Explorer 2016 report based on an online survey of 27,000 expats this year, the bank ranked India 26th out of 45 countries. While that is on the bottom half of the rankings, the U.S. did worse at 30th as did China at 34th. One factor was the Indian economy. Even though it is decades behind China and the U.S. it is still the fastest growing major economy in the world right now. That means globe-trotting executives and entrepreneurs don’t feel like they have been relegated to the backwaters when they work in India. “More than half (51%) of expats in India believe the country is a good place for them to progress their career, compared with 42% across Asia-Pacific,” said the report, which ranked India 10th for “entrepreneurship,” better than China which got the 16th rank. India was also rated by expats as “a good place to start a business,” about 7% more than China in the region. “Expats in India are also able to save more, with 44% saying that living there has accelerated their progress towards making longterm savings and investments, compared with 39% across the region,” said the report. More important for the rankings this year though was family and friends. The expats who responded to the HSBC survey gave India much higher marks in terms of ease of integrating with the locals as well as cost of raising children. Of course the report also showed how India continues to underperform in many areas including quality of life and safety.India’s overall ranking slipped this year. Last year it was 17th out of 39 countries just below the U.S. but still better than China. “The slight drop in India’s ranking is due to a range of factors, for example, expat parents in India have reported that the country is more expensive to bring up a child than last year,” said the bank when asked about India’s lower ranking this year. Why did India, China and the U.S. perform worse than last year? That’s because they faced new competition from 6 other countries which were not a part of last year’s survey, including Norway and Austria which were ranked 6th and 7th in 2016. On the top of the rankings this year was Singapore, New Zealand and Canada. China’s yuan joins the International Monetary Fund’s basket of reserve currencies on Saturday in a milestone for the government’s campaign for recognition as a global economic power. The yuan joins the U.S. dollar, the euro, the yen and British pound in the IMF’s special drawing rights (SDR) basket, which determines currencies that countries can receive as part of IMF loans. 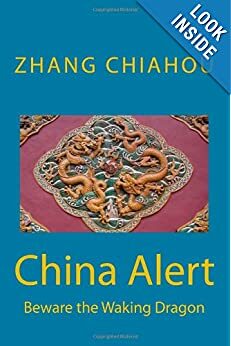 It marks the first time a new currency has been added since the euro was launched in 1999.The IMF is adding the yuan, also known as the renminbi, or “people’s money”, on the same day that the Communist Party celebrates the founding of the People’s Republic of China in 1949. “The inclusion into the SDR is a milestone in the internationalization of the renminbi, and is an affirmation of the success of China’s economic development and results of the reform and opening up of the financial sector,” the People’s Bank of China said in a statement. China will use this opportunity to further deepen economic reforms and open up the sector to promote global growth, the central bank added. The IMF announced last year that it would add the yuan to the basket, so actual inclusion is not expected to impact financial markets. But it puts Beijing’s often opaque economic and foreign exchange policy in the international spotlight as some central banks add yuan assets to their official reserves. Critics argue that the move is largely symbolic and the yuan does not fully meet IMF reserve currency criteria of being freely usable, or widely used to settle trade or widely traded in financial markets. U.S. Republican presidential nominee Donald Trump has said he will formally label China a currency manipulator if he wins November’s election. China stunned investors by devaluing the currency last year and the yuan has since weakened to near six-year lows, adding to worries about already feeble global growth. Some China watchers also fear that Beijing’s commitment to further market opening and financial sector reforms will fade after its diplomatic success, despite repeated reassurances from Beijing it will continue with the process. U.S. Treasury Secretary Jack Lew said on Thursday the yuan was “quite a ways” from true global reserve currency status. The new IMF status recognizes the “enormous” change in China in the last 10 years that had made the yuan more open, but Beijing still had work to do to make its currency and its economy more market-driven, he said. “Being part of the SDR basket at the IMF is quite a ways away from being a global reserve currency,” he said. If anything, the risk is that official intervention to keep the renminbi stable ahead of its inclusion will subsequently be paired back, allowing for renewed deprecation,” it said in a research note. The IMF on Friday fixed the relative amounts of the five currencies in the basket for five years, based on their average exchange rates over the past three months. The transit elevated bus TEB-1 is on road test in Qinhuangdao, North China’s Hebei Province, Aug 2, 2016. China’s home-made transit elevated bus, TEB-1, conducted a road test running Tuesday. INDIA’S biggest banks tend to have official-sounding names, worthy of a central bank. There is State Bank of India, Union Bank of India, Bank of India and even Central Bank of India (the actual central bank is called the Reserve Bank of India, or RBI). That is because, starting in 1969, the entire financial system was nationalised. Although the government has grudgingly permitted private-sector banks over the past 20 years, the 27 public-sector banks (PSBs), which are listed but majority-owned by the government, still account for 70% of lending. That is a worry, because the PSBs are in terrible shape, having lent freely to companies that cannot pay them back. In response, both the government and the RBI are imposing various reforms—but not the most obvious one. Indian banks dodged the global financial meltdown in 2008. But they promptly embarked on a frenzy of lending to big companies, sowing the seeds of a home-made crisis. The PSBs gleefully funded infrastructure projects that never got the required permits, mines with an output made much less valuable by slumping commodity prices, and tycoons whose main qualification was friendship with government ministers. PSBs have tried to gloss over the problem for years, but the RBI is now forcing them to admit the true extent of the damage. The reckoning has been brutal: 3 trillion rupees ($44 billion) of loans have been recognised as “non-performing” by banks in the past two quarters, the vast bulk of them at PSBs; 17% of all loans there have either been written off, provisioned for or categorised as impaired, according to Credit Suisse, a bank. More losses are in the pipeline. The revelations have driven the combined market capitalisation of the 27 PSBs down to that of a single well-run private lender, HDFC Bank, founded in 1994. Tidying up a mess on this scale is never easy, but it is proving particularly tricky in India. The absence of a bankruptcy law (one was enacted in May but it will take months, if not years, to become operational) leaves bankers powerless in the face of defaults. Indian lenders recover just 25% of their money from delinquent borrowers on average, and only after four years of haggling, compared with 80% in America in half the time. A creaky judicial system piles delays upon delays. Worse, as quasi-bureaucrats, Indian bankers are loth to do the one thing that would help a recovery, which is to sell iffy loans to outside investors and move on. Such investors exist, albeit in limited numbers, but doing business with them can be treacherous: if the borrower’s fortunes recover after a sale and it pays back the new owner of the loans in full, bankers fear government auditors will accuse them of selling the distressed loans on the cheap. Best for the bankers to do nothing, and hope that the situation somehow improves. The government wants to change this dynamic. A new “bank board bureau”, headed by an unimpeachable former government auditor, has been created to insulate bankers from government meddling, and so give them cover to sell assets at less than face value. Much of what it suggests is sensible: giving longer terms to PSBs’ bosses, for example, and ensuring they are not judged merely on how quickly they increase the bank’s loan book—part of the reason the PSBs ran into trouble before. The government also wants to halve the number of PSBs through mergers. Beijing has announced a ban on new coal plants in areas with surplus power supply. The new measures outlined Monday by China’s top economic planner, the National Development and Reform Commission, underscore the central government’s deep concern with overcapacity across China’s economy, a result of weakening industrial demand as growth slows. Beijing has previously said it aimed to curb thermal power overcapacity; analysts said the fact that it now came from an official NDRC communiqué was the clearest signal yet that it won’t tolerate new coal capacity in regions that already have excess supply. Weaker demand for coal inside China could ultimately lead to higher exports, which would exacerbate the huge supplies of coal sloshing around global markets. The higher supplies could drive down global benchmark prices and hit the bottom lines of major U.S. and international coal producers. The global commodities downturn has proven particularly tough on global coal companies. St. Louis-based Peabody Energy Corp. and Arch Coal Inc. are among the large U.S. miners to file for chapter 11 bankruptcy protections in recent months. The U.S. sector has shed 31,000 jobs since 2009. Indians are among the most highly stimulated and satisfied at work, a new report claims. Some 28% of workers in the South Asian nation reported being highly engaged and fulfilled in the office, a full 15% above the global average, in a survey of workers in 17 countries conducted by Ipsos for furniture and workspace systems company Steelcase Inc.
Other nations with the largest proportions of satisfied workers were Mexico, at 22%, the UAE and South Africa, where around one in five people described themselves in that way and Saudi Arabia, with 18%. American offices came sixth. About 14% of those surveyed there reported being highly engaged and satisfied at work. Only 4% of Indian workers were highly dissatisfied and disengaged, compared with 11% on average globally. Indians also provided the second-highest average score, of 7.4, when they rated their quality of life at work out of 10. Only Mexico scored higher with 7.5. The authors of the report said the secret to the happiness of Indian workers could be to do with the fact the country’s employers haven’t yet embraced open-plan work spaces and also a result of the hectic pace of life outside the office walls. Only 14% of the offices the employees worked in were open plan. Meanwhile, 70% of the workers surveyed sat in a private or shared private office at work. “Culturally, having a workspace of one’s own, even if it is compact and modest, is a signal of belonging and importance, which may explain the overall high degree of workplace satisfaction,” the report said. In densely populated countries like India, the workplace can be a haven, the report said. Indians are much more likely to say, for instance, that their work environment allows them to feel relaxed and calm. A total of 73% agreed with that in the survey, much higher than most other countries, the report said. Workers in Indian offices are also likely to have access to shared spaces like meeting rooms, cafeterias and canteens. They also have the most access to sport or exercise facilities. Indians’ enthusiasm about their office spaces might be relative. The most highly engaged employees came from emerging economies, the report said. “Many Indian employees’ expectations may be shaped by their comparatively modest living conditions,” the report said. And they are more likely to say that they work remotely–55% said they sometimes work away from the office, and 20% said they did so every day. They also believed that their employer took a genuine interest in employees, with 79% agreeing with the statement. All of this might reflect employers’ efforts to keep their workers happy, the report said. “In India’s highly competitive and fluid job market, providing a desirable workplace can be a powerful strategy for attracting, retaining and engaging the talent that can help an organization thrive,” the report said. China‘s newly installed wind power capacity reached a record high in 2015 amid increasing efforts from the government to boost clean energy. The new wind power capacity jumped to 32.97 gigawatts last year, more than 60 percent higher than 2014, the National Energy Administration (NEA) said on Tuesday. Promoting non-fossil energy including wind power, China is in the middle of an energy revolution to power its economy in a cleaner and sustainable manner. The government aims to lift the proportion of non-fossil fuels in energy consumption to 20 percent by 2030 from present around 11 percent. China’s energy mix is currently dominated by coal. However, the NEA warned of the suspension of wind farms in Inner Mongolia, Xinjiang and Jilin. The phenomenon occurs in the early stage of wind power capacity construction due to the mismatching of new installation and local power grid. China, with its impressive international infrastructure initiatives, has injected impetus into global growth, a U.S.-German historian has said, while criticizing Washington’s hawkish attitude, as reported by Sputnik. China is “leading an economic renaissance of a scale not seen in more than a century,” said F. William Engdahl, a historian and economic researcher, in his recent article for New Eastern Outlook. “Beijing is, with customary Chinese speed, linking its economy by land and by sea lanes to all Eurasia,” the historian wrote, previously saying that China is “moving forward with an impressive array of major international infrastructure projects” in various regions. “For my side, I infinitely prefer the peaceful building projects to the destroying ones,” Engdahl said. During the Johannesburg Summit of the Forum on China-Africa Cooperation (FOCAC) in early December in South Africa, Chinese President Xi Jinping unveiled the 60-billion-U.S.-dollar aid package for Africa in the next three years. The package seeks to help Africa to industrialize, modernize its agricultural production, boost the skills of its workers, build infrastructure and improve its health care. “Unlike NATO’s endless wars, construction of infrastructure — railways, water navigation, electric power grids, lifts people up and enhances peace and stability,” Engdahl said, pointing out that Xi’s offer benefits both Africa and China. China is also establishing a more amicable, vibrant neighborhood and is deepening economic ties with European countries through its Belt and Road initiative. The Belt and Road initiative, comprising the Silk Road Economic Belt and the 21st Century Maritime Silk Road, was brought up by Xi in 2013, with the aim of building a trade and infrastructure network connecting Asia with Europe and Africa along the ancient Silk Road routes. The initiative creates a “golden opportunity” for the countries of Central and Eastern Europe that are facing economic difficulties, linking the East and the West of the Eurasian continent through a vast network of high-speed railways and maritime routes, Engdahl said. “China is the world address in rail infrastructure today, while the West, led by the pathetic rail construction record of the USA, falls farther and farther behind,” Engdahl said, referring to China’s planned construction of a Hungary-Serbia high-speed railway. The railway linking the capitals of Hungary and Serbia, Budapest and Belgrade, has a total length of 350 km, with 184 km in Serbia. It is designed for electric passenger and cargo trains with a maximum speed of 200 km per hour. Once complete, it will help create a fast lane for importing and exporting products between China and Europe. Besides recognizing the export of “Chinese rail technology” to Europe, the researcher also mentioned Beijing’s intentions to invest in constructing and upgrading port facilities in the Baltic, Adriatic, and Black Seas.